This fourth class in our Lemoyne University series focuses on one new technique, Blazing Lemoyne Star. You will be working with the Rapid Fire Lemoyne Star Tool once again. The Blazing Star is similar to the Lone Star but has just 4 diamonds in each star point. 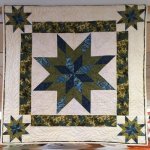 It’s a fantastic variation, and it’s 10 sizes range from 6” to 24” The larger sizes are just perfect for a wall hanging or medallion in the center of a quilt. 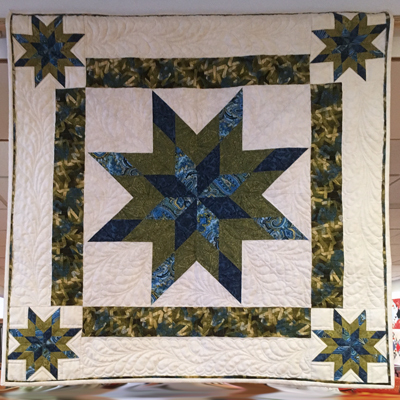 By using the trim-down method, students will continue to build their Lemoyne Star skills making beautiful stars that traditionally are paper pieced. Note that this class is built on skills learned in the Freshman Year session. Experience making Lemoyne Stars using the Studio 180 tool is required.